Listen—sometimes, there are trends we just can't get behind. Unicorn and mermaid colors seemed fun in the beginning, but they've spiraled into something a bit too oversaturated (makeup! food! hair!). We're feeling mythical-creature fatigue, so whenever the next wing- or fin-derived product surfaces, we let out a big sigh and move on. That is until we caught wind that a popular mermaid ingredient is actually crazy good for your body: spirulina. 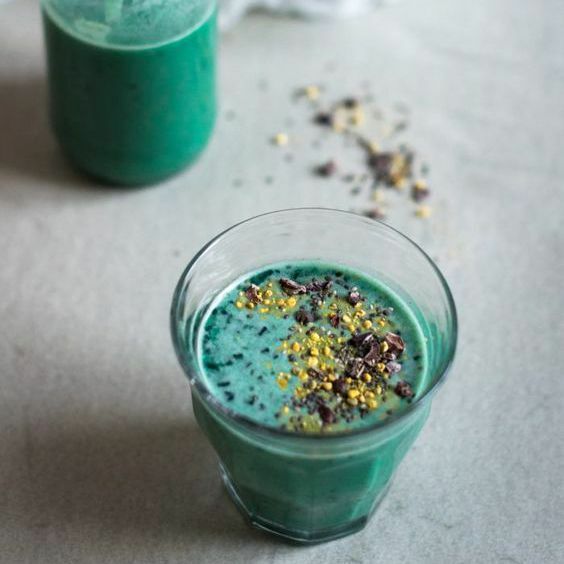 Pinterest searches have increased by 35% this year for the blue-green algae, which is probably due mostly to the fact that it's used to make mermaid smoothies and mermaid toast, but it's safe to assume Pinners know about the incredible benefits the food-beautifying powders boast too. Take a look at some of its superpowers below. Spirulina increases healthy lactobacillus in the intestine, enabling the production of vitamin B6, a nutrient used to convert food into fuel for energy. While more research is needed, it has the potential to diminish chronic fatigue. The algae have anti-inflammatory properties and help treat allergies by preventing rhinitis (swelling of the mucus membrane) and inhibiting the release of histamine (the neurotransmitter produced during any allergic response) from white blood cells. In one study, 15 male participants were given 4.2 grams of spirulina per day. After eight weeks, participants saw a significant decrease in LDL levels. Truth be told, spirulina isn't very tasty—it is algae, after all. However, you can buy it in tablet form to take it like a supplement, or you can add it to foods for a super snap-worthy dish that also benefits your body. Fortunately, there's a Pinterest board for spirulina recipes. Next, read about another green powder that's amazing for your body.